Romantic drama’s or comedies aren’t usually my sort of thing. It is a bit ironic because if anyone knows me, they would know that I am a bit of a hopeless romantic. My problem with this genre is that it has a formula that has been done to death and can’t create surprises anymore and its success now relies purely on execution. Me Before You is an American-British made Romantic drama directed by Thea Sharrock and adapted by Jojo Moyes from her 2012 novel of the same name. The novel was well received by critics and it also managed to become a best-selling novel as it managed to sell over 8 million copies worldwide. It even managed to garner some controversy from disability advocates. So in true Hollywood fashion , the executives and producers created an adaptation of the best-seller. It must be put on record that I haven’t read the book so I can’t make a fair comparison between both adaptations and will not attempt to do so. It must also be noted that elements of popular books tend to go missing in the conversion period however this may not be the case as the author Jojo Moyes wrote the screenplay for the film. Emilia Clarke & Sam Claflin have great chemistry. The film opens up following William Traynor (Sam Claflin), a wealthy, intelligent and adventurous 35-year-old man who becomes a Quadriplegic after a motorbike accident. 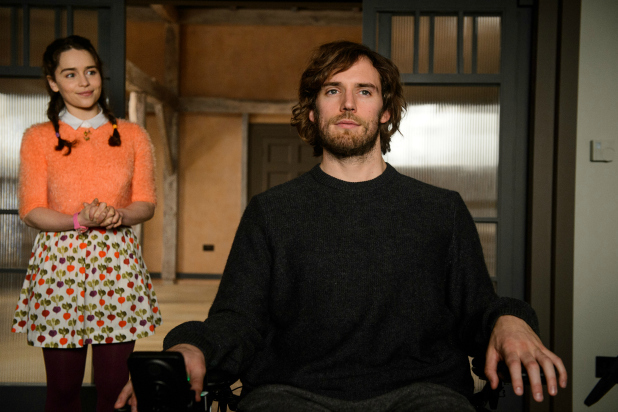 The movie flash forwards two years to the future where we meet to Louisa ‘Lou’ Clark (Emilia Clarke) a 26 –year- old woman who works at the local café in order to help her family pay the bills. She is creative, talented and funny but unfortunately lacks ambition. When she gets let go from the job, she gets offered the position of carer for Will who is understandably bitter and moody because of his predicament. The two don’t get along at first but they grow closer over time. But when she gets word that Will is planning a trip to Switzerland to be euthanized because he cannot accept that he will never be the active man he once was, she tries her best to make him love life again. This as a result sees the two fall deeply in love with each other. With that said, does this movie do enough to break the tag of “by the numbers” Romantic drama ? Let’s take a look at the positives and the negatives. Emilia Clarke finally gets to show the audience her range as an actress. Let start off with our main protagonist, Louisa “Lou” Clark who is portrayed by Game of Thrones star Emilia Clarke. The general public will always see her as Danerys Targaryen, but this film has definitely helped her career unlike her portrayal of Sarah Connor in Terminator Genisys, a film disguised as a franchise suicide attempt. Her performance in this film mitigates a lot of the films shortcomings. Clarke charms the audience with her adorable clumsiness and sincerity, eccentric fashion sense and her snake charming dancing eyebrows. Few will be able to resist Lou’s bigger than life personality, lack of ambition and her deep and caring nature as she’s sacrifices a lot to keep family afloat. Many will also be impressed by Clarke’s ability to inject weight and panic or positivity to the situation. Best known for his roles as Finnick Odair in The Hunger Games series, Sam Claflin’s portrayal of Will is also noteworthy. I can’t even begin to think about the physical and psychological challenge of playing a quadriplegic man. I tip my hat off to Claflin’s heroic effort. Claflin needs to convinces the crowd using words rather than actions and needs to make sure his delivery of the dialogue are way more impactful than being good looking. Through his presence on the screen, Claflin skillfully inhabits a lot of the films powerful quotes that came from Jojo Moyes’s original story. The one that gets me was “You only get one life. It is actually your duty to live it as fully as possible”. A movie of this nature is made or broken on the chemistry our lead actors have. Fortunately Emilia Clarke and Sam Claflin pass this test in flying colours despite some of the clichés that this budding relationship goes through like opposite personalities not getting along at first and having to deal with Sam Claflin’s annoying amount of sarcasm and pretentiousness. Viewers will eventually get infected by their compatibility and begin to root for them as a couple as they display genuine care for each other. The romance is definitely earned in this film and not forced. The severity of the situation they face will even make you sad because of how great their chemistry is. This film will give you a case of the feels. Other than the main characters, I unfortunately can’t give massive praise to the supporting cast. This is a shame as we have great actresses and actors like Jenna Coleman of Doctor Who fame, Charles Dance who many will know as Game of Thrones, Tywin Lannister making an appearance. Even Harry Potter Alumni, Matthew Lewis fails to leave an impression as Patrick, Lou’s fitness obsessed boyfriend who doesn’t pay attention to Lou’s troubles. The film, despite all its charm still falls into common romantic film clichés like opposite personalities clashing and falling in love, friends and family giving advice to the main characters , a conflict that breaks them up for a bit and a brief reconciliation for example. This as a result means that you can almost predict what is going to happen. I’ll give the film where credit is due at least it doesn’t resort to using another actor as an antagonist to the main character’s relationship but use the situation they face as the real challenge which is a refreshing change of pace. The film has been generating a lot of backlash from activists in the disabled community. This comes as a result of the perception that the film’s underlying message is that people with disabilities are a burden on their families and careers and many believe that the film advocates suicide so that their love one’s can “live boldly”. I personally feel that people may be reading too much into meaning. However I feel that the movie gives an imbalanced look on the topic of euthanasia and isn’t daring enough to take a look at the topic from other perspectives as it tiptoes around the issue. This is made worse by the fact that the film The Fault in Our Stars, a film aimed at a younger crowd was candid about the difficulties of living with serious medical difficulties. The film doesn’t make a bold stance on the topic of euthanasia. 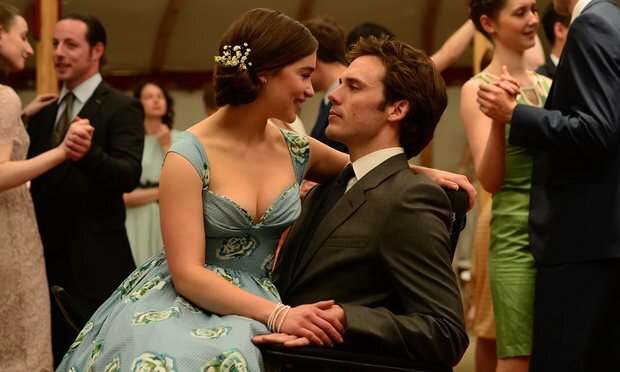 Me Before You is an extremely predictable film, but somehow still manages to manipulate our emotions thanks to Emilia Clarke’s incredible performance and her chemistry with Sam Claflin that is heart warming. Unfortunately the film reluctance to efficiently examine the issue it talks about and forgettable performances from an extremely talented supporting cast prevents it from being a modern classic.